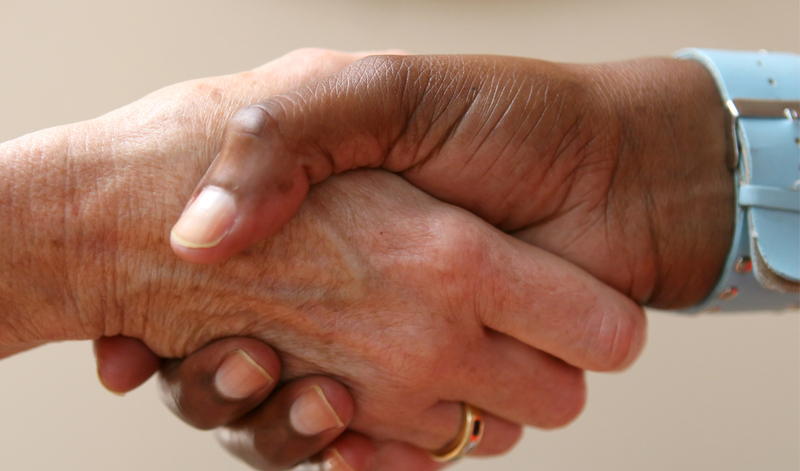 The ability to negotiate effectively is critical for success in business. Therefore, students in this course need to understand the theory and processes of negotiation in order to cultivate the skill set necessary for success in a variety of negotiation situations. But theory will only get our students so far; to be truly masterful negotiators, they need experience. To meet this need, the World Campus team developed two methods to provide our students with authentic experiences. Students participate in live, role-playing scenarios via web conference. Specifically, they pair up and act out roles that require them to achieve key objectives in the negotiation. However, the students have no knowledge of their partner’s role, which is meant to make the role-playing exchange more realistic as they conduct negotiations. They are also exposed to the experience of a real negotiation through an interactive video formatted as a choose-your-own adventure narrative. To account for the range of student experiences, the narrative needed to be relatable but still apply to distributive bargaining; specifically, hardball tactics. 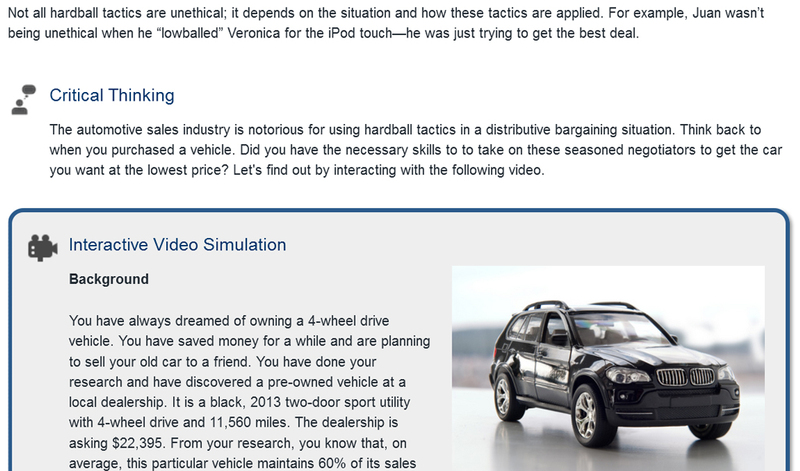 Engage in the BA 322 Interactive Video Simulation to see if you have the skills to negotiate the best deal for a used car.